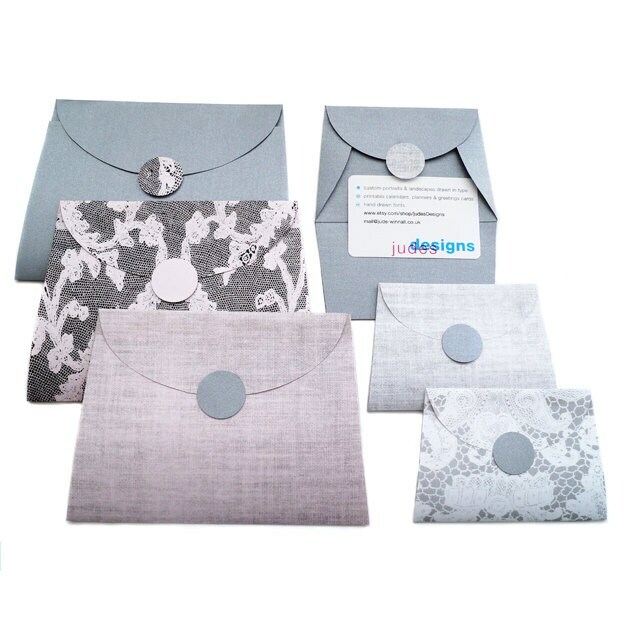 Instant download digital envelope template for you to print, assemble and embellish. 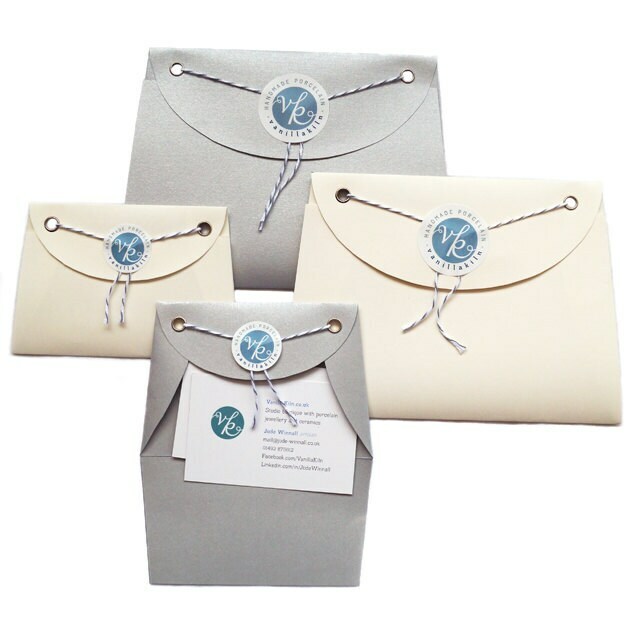 This stylish paper handbag envelope has a front flap that opens and closes to hold thank you notes, business cards/postcards, shop coupon codes, cash, etc. Pictures above show what you could do with your own paper and embelishments. In all the pictures, circle embelishments were made from paper offcuts or sticky labels. 1st picture: Blank template printed onto silver and cream paper. 2nd picture: Linen and lace patterns (included) printed onto pink and white paper. Blank template printed onto silver paper. 3rd picture: Blank template printed onto patterned and plain papers. 4th picture: Blank template printed onto kraft and speckled papers. 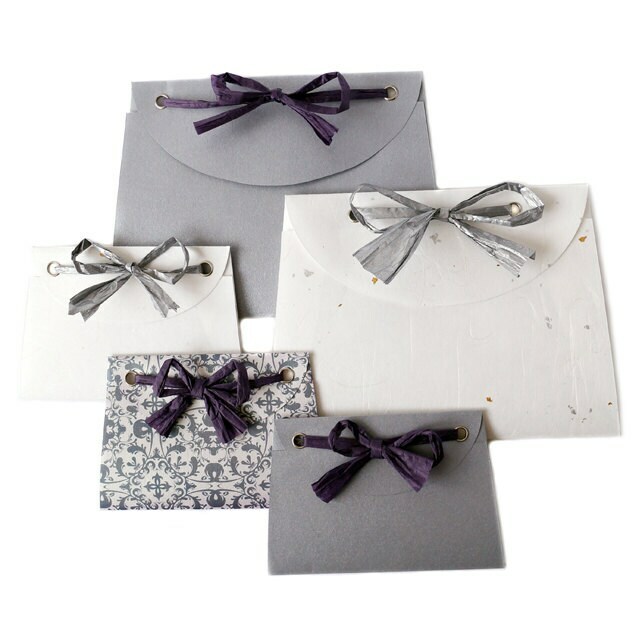 5th picture: Blank template printed onto silver, speckled and patterned papers. 1) Business card envelope template. This has room for items up to 103 mm x 61 mm. 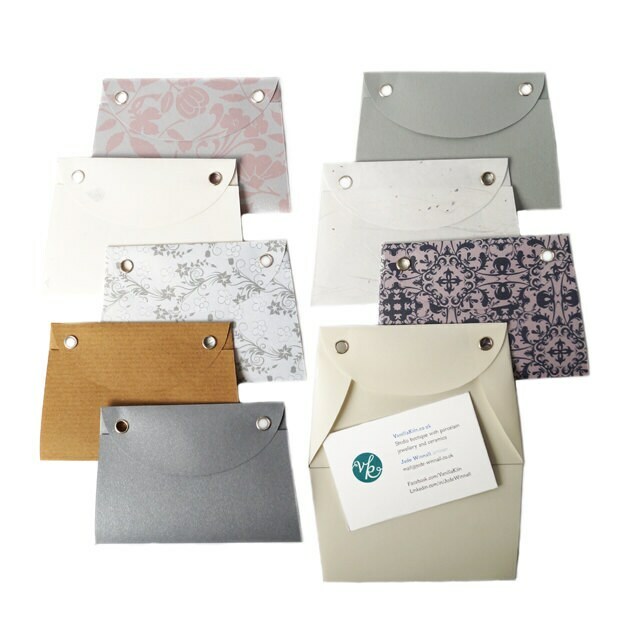 2) Business card envelope template. This has room for items up to 4” x 2 3/8”. This has room for items up to 148.5 mm x 105 mm (when printed onto A4 paper) or 5 1/4” x 4” (when printed onto Letter paper). • Computer with pdf reader such as Preview or Adobe Reader. • Printer with black ink. Or you can copy the file onto a memory stick and use your local print shop. • Coloured, white, patterned, kraft or recycled A4 paper which is compatible with the printer. • Scissors and something to make creased lines, eg. a ruler and the back of a craft knife. • For best results: standard two hole punch, 6 mm eyelets and eyelet tool. Otherwise glue or double sided tape. •	Embelishments such as buttons, sequins, self adhesive labels, printed logo, etc. 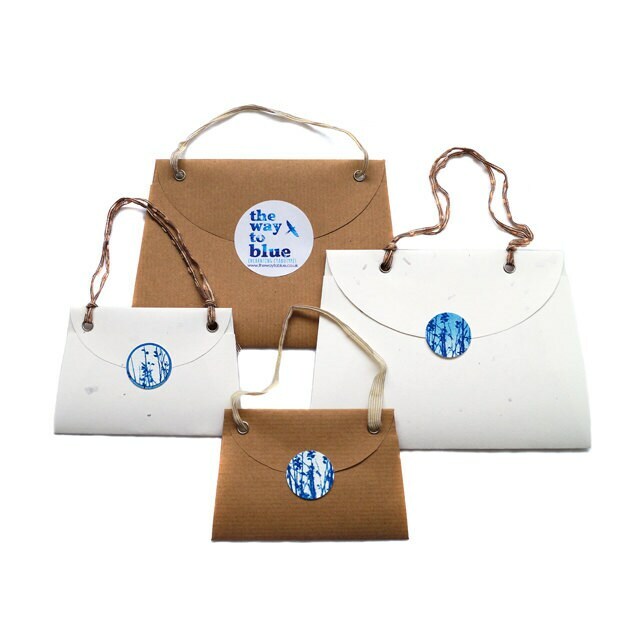 For bag handles: paper rafia, ribbon, beads, twine, cord, etc. © Jude Winnall 2015. Copyright of this design remains with Jude Winnall. This pdf is password protected – printing is restricted to low resolution output on home or copy shop printers. Also text and images can not be edited or copied. You may print the pdf for your own use but are not permitted to sell it or distribute it to anyone else. However you may print as many copies as you like.